Pokémon is a game which teaches friendship, hard work, and respect for others. So as Pokémon GO mania sweeps the planet, players can be forgiven by thinking that the new mobile game will be nothing but a bit of fun. If anything, the chance to play games outside must be healthy, promoting exercise in the fresh air, right? Be warned, though: while the hugely popular Pokémon GO is a lot of fun and has its benefits, there are plenty of things that can go wrong while playing. Since the game’s launch last week, stories have been flooding in of unfortunate players who’ve ended up in awkward or even downright dangerous situations as they’ve played – everything from sprained ankles to muggings have become commonplace as so many unprepared players take to the streets in search of their favorite pocket monsters. So be warned: danger could befall you on your quest to be the very best, like no one ever was. Here are 15 Potential Dangers Awaiting You – read up, and stay safe. It didn’t take long after Pokémon GO’s release for the first reports of injuries to come flooding in. Players reported falling over pot holes, twisting ankles, and even walking into lampposts and other obstacles as they spent their time engrossed in their phones without paying full attention to their surroundings. If players don’t fall afoul of potholes, ditches, or other natural dangers in the landscape around them, there’s also the risk of potential muggings. 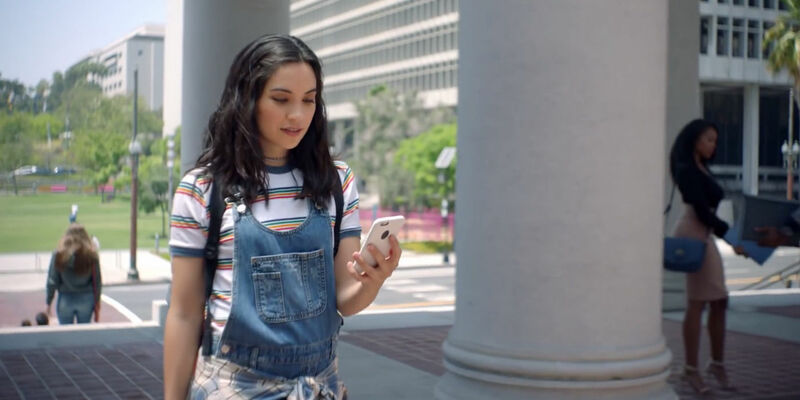 Pokémon GO works by spawning certain Pokémon and items at specific locations, meaning that lots of players will find the same rare creatures in the same spots. It didn’t take long after the release of the game for muggers to realize how this could be exploited. 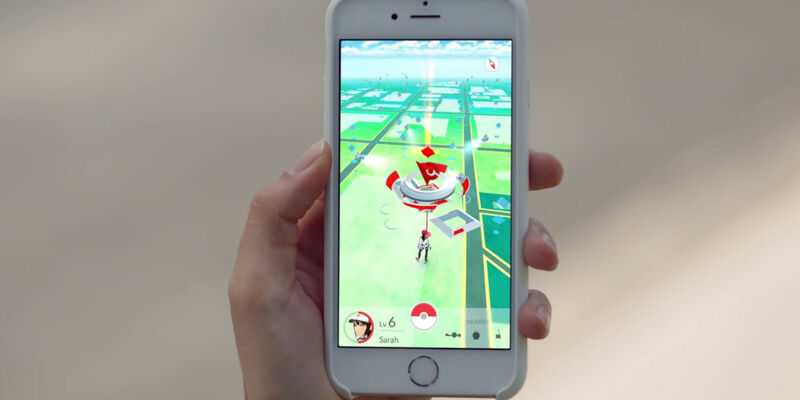 Just a few days after the release of the game, police on O’Fallon, Missouri got a call at 2am about a group of four teens who were parked on a Pokémon hotspot – according to reports, when players of the game stumbled into the parking lot that the teens were hiding in, they’d exit the car and rob gamers at gunpoint. Take this as a warning: as much fun as Pokémon GO might be, it’s not necessarily safe to walk around in secluded areas with your smartphone out in front of you – pay attention to your surroundings and go in groups to minimize risks. Exploring the woods and fields in the countryside looking for Pokémon might seem like a good way to avoid the dangers of inner-city robberies, but there are dangers hiding everywhere, and for one gamer, Pokémon GO led to a pretty traumatic experience. The nineteen-year-old player in Wyoming was exploring the countryside near her home, looking for rare creatures. After hopping a fence to get to one particularly exciting capture, she was exploring a natural water source when she came across a dead body. According to the local police, it appears that no foul play was involved and that the man who had been found had accidentally drowned – even so, finding a dead body is a fairly traumatic experience for any player of the game. As Pokémon GO continues to rise in popularity and players explore further and wider in their search for new Pokémon, it’s likely that more similar stories will crop up. Players should be wary of dangerous situations and do their best to keep a safe distance from anything that looks unusual. So playing Pokémon GO outside can have potentially dangerous circumstances – that’s fine, though, because the game can still be played indoors without a problem, right? Well, even indoors, it’s important to be careful about how and when you play. In a post on Reddit which has since been deleted, user scarstruck4 explained that, while working for a bank dealing with sensitive information, the player couldn’t help but whip out their phone to try to capture a Zubat which was flying nearby. While scarstruck4’s company allows the use of phones at desks, using the camera is a serious breach of security measures, and as Pokémon GO uses a phone’s camera to create an augmented reality image, scarstruck4’s phone was promptly confiscated and sent for inspection at the company’s head office. In the meantime, scarstruck4 is looking at serious disciplinary action. This isn’t even the only case of Pokémon GO putting people’s careers in jeopardy – a player in Singapore who was caught using colorful language on Facebook to express his annoyance at the game’s implementation in the country, has been fired for indecent conduct on social media. So watch out – there can be serious consequences to playing Pokémon GO, or even talking about it, in the wrong setting! Driving while using a phone is generally understood to be a bad idea. That’s not enough to stop many people from doing so, of course, especially when it comes to catching Pokémon. Driving while playing the game is incredibly convenient – as many of the game’s features measure how far a person has traveled, players can cover more ground at a quicker pace, and can also find key points where Pokémon appear by traveling around faster. Unfortunately, though, looking at a smartphone while driving is such a prevalent concern that multiple law enforcement agencies around the world have had to issue warnings to players. These are very warranted, as reports from various players on Twitter have pointed to some very reckless behavior that has led to accidents in many cases. It doesn’t help that the game spawns Pokémon in unhelpful positions – even Penny Arcade’s Mike Krahulik has reported almost getting run over while trying to catch a wild Poliwhirl in the middle of the road. While in many cases, the dangers that befall players of Pokémon GO are caused primarily by their own careless or reckless behavior, unfortunately, there are some problems that will only be faced by players based on their race. Omari Akil has called the game "a death sentence if you are a black man," and as awful as the implications of this are, Akil’s comments are certainly a warning that bear repeating for anyone who might be in danger. According to Akil, the behavior that Pokémon GO encourages, such as walking around in unusual patterns in unfamiliar neighborhoods, may lead residents to believe that young black players of the game are doing something suspicious. Akil argues that there is a ‘statistically disproportionate’ chance that the cops might be called, and a similar chance that the player might not be given the benefit of the doubt while reaching into their pocket for their phone or other identification. At the moment, race relations across America are exceptionally tense. While this is a difficult subject to address, it’s vitally important to repeat Akil’s warning: black players of the game should take extra care when exploring the world in search of new Pokémon. Playing Pokémon with family members can be an enjoyable experience – it’s an opportunity for families to take time out to go for walks in parks as they explore the world together in search of new monsters to capture. That said, there is definitely a time and a place where playing Pokémon GO is appropriate, and whipping out a phone to play at the wrong time can lead to disastrous consequences for marital harmony. Take, for example, the case of the man who found a Pidgey on his wife’s hospital bed while the couple was waiting for a C-section. According to the player, this elicited a few eye-rolls as his wife realized his priorities in that moment, but otherwise he got off lightly. If the comments on the player’s initial Imgur photo are to be believed, however, not every Pokémaniac would receive a similar reaction: many commenters have suggested that the man’s behavior was insensitive, or potentially harmful to a relationship. This being the case, be warned: while many partners might understand or even encourage playing Pokémon GO in unusual circumstances, there’s definitely the potential for marital strife if a Pokémon trainer starts playing at the wrong moment. By all accounts, Pokémon GO drains phone battery life fast. 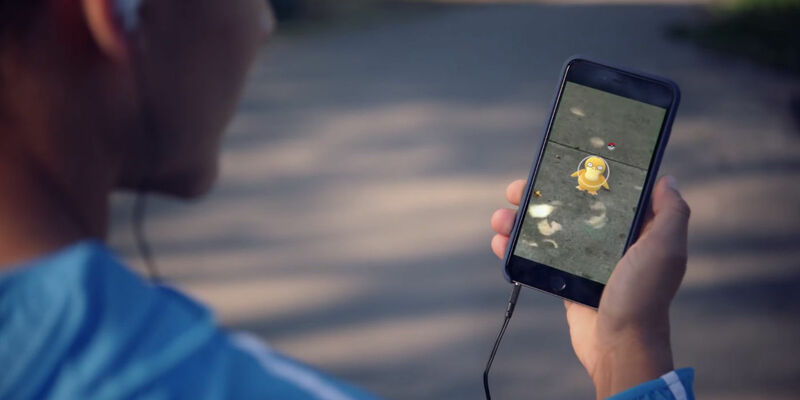 This is hardly all that surprising – the game makes constant use of the player’s GPS tracking, is regularly connected to the internet, and often uses the phone’s camera to produce augmented reality images of the Pokémon that the player is trying to capture. Players should take care when exploring the Pokémon world alone – it’s easy to wander into unfamiliar paths while playing, and when a phone battery dies, it’s easy for a player to become stranded in the middle of nowhere without any way to contact assistance. Players who find their phone batteries dying a lot quicker than they’d like should look into the various tips and tricks that exist to help save battery life, and those who intend to do a lot of playing might want to invest in the game’s (currently unavailable) accessory that tracks the player moments and creates alerts without the need to constantly be checking a phone. 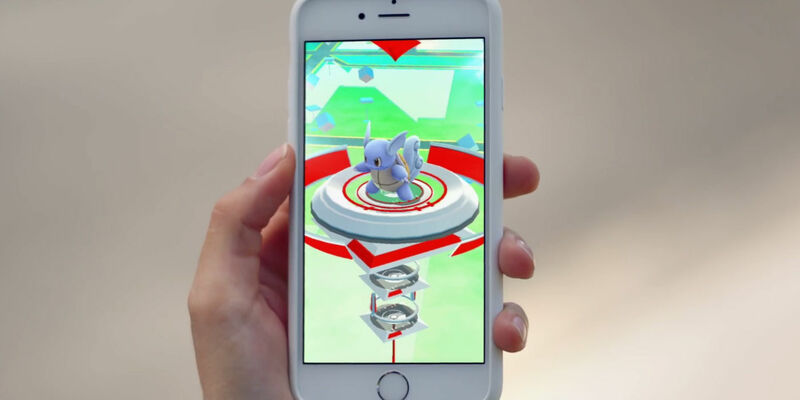 Pokémon GO assigns real world locations of importance as gyms that players can travel to in order to battle each other and pick up important rare items. Unfortunately for the locations that have been chosen, the extra attention caused by players coming to stock up on Pokéballs isn’t always welcome. Such is the case with a police station in Darwin, Australia – having discovered why so many young people are visiting the station while playing a game on their phone, the police have issued a statement reminding players that they don’t actually have to enter the building in order to register as being in the gym. Apparently, a few too many visitors has meant that the station has been overrun, and the police, while polite about it, aren’t eager to have more players taking up space in the lobby. Players should take care to make sure that their adventures don’t involve wasting time for local police, no matter how tempting the treasures that await at various stations might be. Pokémon GO is not yet available around the entire world – at least not officially. After a very rocky initial release in Australia, New Zealand, and America, Nintendo have opted to put a full worldwide release on hold, meaning that players in various parts of the world are still not able to download the game through legitimate channels. Some intrepid players, however, have discovered that while the game isn’t available in the Android Play store in their region, it can be installed manually by downloading the game’s APK from various hosts online. This has let a lot of players across Europe and in other parts of the world gain access to the game earlier than Nintendo would have liked. The problem with this, though, is that not all APKs that are in circulation are legitimate – plenty of Trojan Horse viruses exist, hidden among certain versions of the game, waiting for players to install them and give hackers permission to access all of their important files. Add to this reports of privacy issues for even legitimate downloads, and there’s a potential for serious security risks with the new game. So for any player who’s considering downloading the game ahead of its official release, be warned: some available versions of the game are less than legitimate. Pokémon GO encourages a lot of socially acceptable behavior – plenty of players are making new friends as they battle other gamers and share tips on the best local spots to find creatures. Gamers are getting to know other Pokémon fans in their area, and in many cases, Pokémon GO is helping to bring communities closer together. Unfortunately, though, not all attention from fellow players in wanted or welcomed. There have been reports of players of the game who have felt uncomfortable with the way some other players have approached them, invading their personal space in what is often likely merely an eagerness for the game, but which has left players feeling vulnerable and awkward. Not all players of the game are interested in making new friends, and as much fun as playing Pokémon GO together might be, it’s important for players to respect when someone else would rather play by themselves. 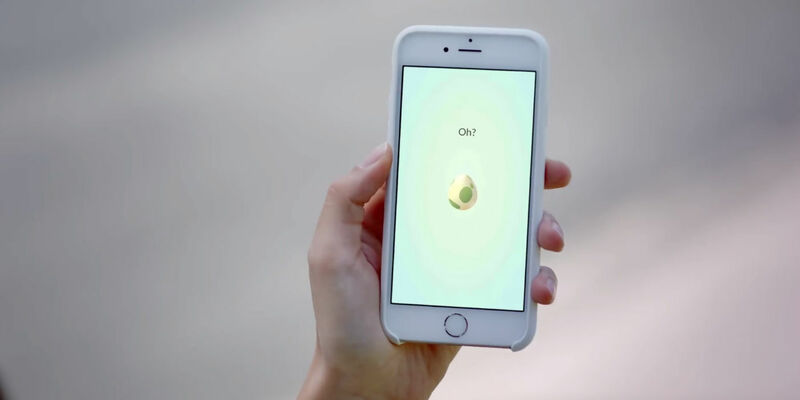 Pokémon GO is a great incentive for many players to live a more active lifestyle – as a game that requires as much as 10km of walking before players can hatch certain eggs and find key Pokémon, the game is helping to get a lot of players up off the couch as they discover the digital rewards of exercise. That said, players who aren’t used to a large amount of exercise should be careful not to overdo things. Plenty of previously sedentary Pokémon players have reported sore legs and other conditions caused by moving around far more than they usually would, either by bike or on foot. While these conditions are hardly life-threatening, and while the exercise is definitely going to have long-term benefits after a while, players who aren’t used to high levels of physical exertion should be careful not to overdo things and leave themselves exhausted, miles away from home. Pokémon GO uses a lot of mobile data. It has to, really – after all, the game spends a lot of time using map data to generate various location information and to help keep track of where the player is in relation to rare Pokémon in the area. Not everyone, however, has an expansive data package for their smartphone – certainly not enough to keep up with a lot of playing. Plenty of distraught players have taken to Twitter to vent their frustration at not being able to catch ‘em all because they simply don’t have enough mobile data to do so. Other players are in an even more dangerous situation: potentially accruing large charges for using more data than they have as part of their plan, or getting hit with data roaming charges while attempting to play on vacation. Thankfully, there are tricks to reducing the amount of data that the game uses, such as pre-downloading maps of local areas so that the game isn’t constantly refreshing them while out and about, or simply connecting to Wi-Fi when it’s available. Stores, restaurants, and other establishments across the world have been seeing a large influx of visitors, many of whom aren’t actually looking to buy anything. One Dairy Queen is reported to have put up a sign stating that its rare Pokémon ‘are for patrons only’, and it’s likely that as Pokémania continues to spread, many establishments will be increasingly frustrated with players loitering in entranceways or scaring away business. Not all places of significance in Pokémon GO are even open to the public – many gamers have been scaling fences and sneaking onto private property in order to get their hands on rare creatures, and it’s only a matter of time before such antics end badly. In all cases, players should try to be conscious of the effects their behavior have on others. One man, who lives in a converted church, has discovered a steady stream of players loitering outside his house to play. While he’s been very relaxed and welcoming to players, there’s no guarantee that every gym owner will be as welcoming. As Pokemon GO uses notable public structures as gyms for players to train at, a lot of churches are seeing more foot traffic than usual. Plenty of players have joked online at the strange behavior that the game is encouraging, as gamers visit religious sites en masse as part of their Pokémon pilgrimage. While in most cases these establishments are taking their newfound popularity among Pokémon fans in their stride, some churches have found opportunistic ways of spreading their message through Pokémon. Most notably, the Westboro Baptist Church, infamous for their outspoken condemnation of many aspects of modern life, has found a way to capitalize on its newfound status as a Pokémon gym. After an enterprising player of the game established themselves as the gym leader for the Westboro Baptist Church, using a pink Clefairy named ‘LOVEISLOVE’, the church has responded online by filling its social media presence with a collection of Pokémon-themed memes denouncing its gym leader in an attempt to spread hatespeech. It’s likely that this is the first of many religious incidents surrounding the game as players spend more time near places of worship for various faiths. Pokémon GO has a lot of fantastic qualities. It promotes healthy exercise and making friends, and its popularity speaks to the enduring dream of becoming a Pokémon master that’s shared by millions of players across the world. That said, the game is not without its risks. While sore legs and data charges might not be all that scary, there’s a very real threat that the game could lead to disaster and tragedy unless players are careful where and how they play. So the next time a rare Pokémon appears in the middle of the road, be sure to ask yourself whether it’s worth risking a car crash to get hold of it. Are you playing Pokémon GO? What’s the most dangerous thing you’ve observed while playing? Leave a comment below.